was established in March 2000 to encourage the development of laparascopic (keyhole) and innovative surgery within urology in the UK. Urologists are noted pioneers in the field of minimally invasive surgery. Today many diseases of the urinary tract can be dealt with by minimal access therapy instead of conventional surgery. Laparoscopic (keyhole) surgery, which was pioneered in this country by the late Malcolm Coptcoat, received much attention at international congresses in the year 2000 and was heralded as the future of urological surgery. 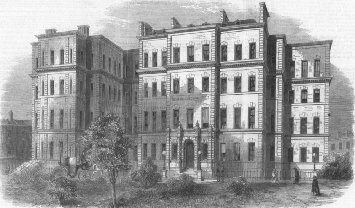 It was in recognition of this that King’s College Hospital opened the Coptcoat Ward as part of its new centenary wing. After qualifying, Malcolm took up a short service commission with the Royal Air Force from 1980 to 1985, and did his urological training at the Institute of urology and St Mary’s Hospital, Portsmouth. At the institute he investigated advanced endoscopic techniques for tissue removal, which led to his ChM thesis on endoscopic liquidisation of the prostate bladder and kidney. 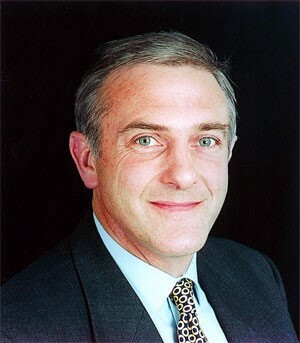 He was appointed a consultant to King’s College Hospital in 1991 and was director of surgery from 1992 to 1994. He was also an honorary senior lecturer at King’s College School of Medicine and Dentistry. Malcolm was a pioneer in laparoscopic urology and in 1992 performed the first laparoscopic nephrectomy for renal carcinoma, which stimulated the development of laparoscopic urology in Britain. Malcolm was stimulating to work with, an outstanding teacher, and a great lateral thinker, who often challenged established practice. He was a member of the council of the British Association of Urological Surgeons and singlehandedly edited the association’s new magazine, BAUS Today. He was much in demand as a visiting speaker and surgeon in other countries, was consultant adviser in urology to the Royal Air Force, and wrote three books, several chapters, and many papers. Malcolm had enormous charm, a great sense of humour and was very modest. He was a talented sportsman (playing rugby for England Schoolboys at Twickenham), a great tennis player (apart from an erratic backhand) and loved cycling. He died aged 44 from a heart condition in 1999 leaving behind a wife Alice, and two boys, Xan and Philip.